Coffee pods continue to gain significant traction, with coffee machines becoming one of the most commonly used kitchen appliances worldwide. However, high environmental footprint of used coffee pods that end up in landfills has remained a major concern in the market among manufacturers and regulatory bodies alike. This, coupled with increasing load of plastic waste, which further tugs on concerns of environmental agencies, has led relevant governing bodies to impose strict regulations associated with plastic waste management. These regulations are likely to pose a significant impact on salient trends in the coffee pods market. Additionally, government proposals for ban on non-degradable coffee pods, in regions such as North America and Europe, for curtailing the plastic waste and their abuse on landfills, are likely to create significant challenges for coffee pods manufacturers. Prominent players in the coffee pods market are therefore shifting their focus toward sustainability through development of compostable coffee pods, to gain a competitive edge amidst changing dynamics in the coffee pods market. According to the United States Department of Agriculture (USDA), coffee production across the globe, which was estimated at over 170 Mn bags in the year 2017-18, is pegged to increase by 11.4 Mn bags in the year 2018-19. In addition, the International Coffee Organization states that the worldwide coffee consumption increased from 152 Mn bags in 2014 to over 160 Mn bags in 2017. Such rapid growth in production and consumption of coffee has meant that coffee pods sales have witnessed a significant rise, and the status quo is likely to prevail in the forthcoming years. Coffee bars are witnessing an increased footfall worldwide, which is leading coffee pod manufacturers to accrue profits through heightened sales of pod coffee machines and coffee pods. Leading coffee chains are now installing more facilities worldwide to leverage rising consumer interest toward spending their leisure time in coffee outlets and cafes. An exemplary case is of Starbucks Corporation, which grew from 19,767 stores in 2013 to 28,720 stores worldwide in a span on just five years. With more Millennials opting for traditional coffee shop experience, supply and demand trends of coffee pods will continue to trace an upward trajectory in the near future. Development of degradable and reusable coffee pods is likely to remain a surging trend, with increasing number of environment-conscious consumers and stringent regulations imposed by governing bodies. Significant R&D investments being made by leading coffee pods manufacturers to discover eco-friendly materials for the development of degradable & reusable coffee pods are likely to favor growth of the coffee pods market. Recent launch of 100% compostable coffee pods by The Eden Project, Bewley’s, and Co.ind s.c., in Europe is a key example of such developments by players in the coffee pods market. With specialty coffee becoming an affordable luxury, particularly for avid coffee aficionados, leading players in the coffee pods market are introducing products with exclusive flavors and unique origins. International coffee chains are willing to deliver innovative flavors to attract coffee lovers and enhance their coffee sales, which is instigating a new trend in the coffee pods market. Coffee bars are likely to remain a target end-user segment for stakeholders introducing versatile coffee pod flavors. Note: Request a free sample copy of the Coffee Pods Market report, to get clarity on more versatile factors influencing the worldwide adoption of coffee pods during 2018-2026. The report provides thorough information on salient factors that are boosting or hampering the growth of the coffee pods market. The insights derived from extensive market research, which defines the growth prospects of the coffee pods market, are included in the report. It highlights the macroeconomic factors that are affecting the demand and sales of coffee pods in various geographical regions. The report presents a detailed analysis of various types of coffee pods and the factors impacting the demand for those respective categories. Along with qualitative information about growth parameters of the coffee pods market, the report provides imperative quantitative data on how the market will grow during the period 2018-2026. The report presents the change in global sales of coffee pods in terms of US$ during the said timespan, across several geographical regions. The report also includes other key aspects of the growth of the coffee pods market such as year-on-year (Y-o-Y) growth, compound annual growth rate (CAGR), value chain analysis, and absolute $ opportunities. Detailed information about the leading manufacturers and distributors of coffee pods and other stakeholders in the coffee pods market is incorporated in the report, which aids the reader to understand the competitive landscape of the coffee pods market. Coffee pods, also known as single-serve coffee containers, are packaged units containing coffee beans along with a filter. Coffee pods are designed for automatic coffee machines to brew coffee enough for a single portion and are gaining popularity in the coffee industry. Depending on the end-user needs associated with the types of roasted coffee, coffee pods contain dark, medium, or light coffee. Coffee pods are inserted in coffee pod machines to brew a single cup of coffee at a time. Which factors are boosting demand for coffee pods in the European Union? 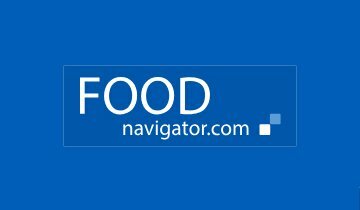 Which industrial sectors are influencing the growth of the coffee pods market? 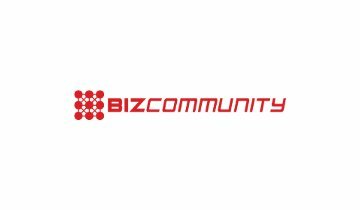 How does the growth of e-commerce impact the sales of coffee pods in specialty stores? 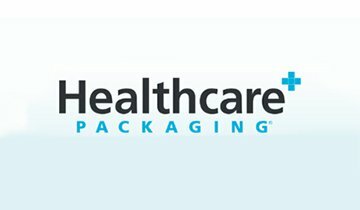 What are the winning strategies adopted by the leading manufacturers of coffee pods? What are the best manufacturing strategies that manufacturers of coffee pods must adopt to gain momentum in the European coffee pods market? Note: To get answers to these and more such crucial questions that often burden stakeholders with, request a free sample copy of the coffee pods market report. The report provides the detailed segmentation of the coffee pods market to cover all the aspects of growth prospects of the market. The analysis of each segment of the coffee pods market can help manufacturers, distributors, and other stakeholders to get clarity of the avenues of growth in the coffee pods market. The coffee pods market is segmented according to geographical regions, product type, caffeine content, roast type, flavor, and distribution channel. According to the geographical regions, the coffee pods market is segmented into North America, Europe, Asia Pacific, Latin America, and Middle East & Africa. The report presents the categorization of the coffee pods market according to the product type, such as soft coffee pods and hard coffee pods. The coffee pods market is categorized based on caffeine type, including regular and decaffeinated coffee pods, and roast type, including dark, medium, and light coffee pods. Furthermore, the report provides an analysis of the coffee pods market based on its flavors, such as regular and flavors coffee pods. 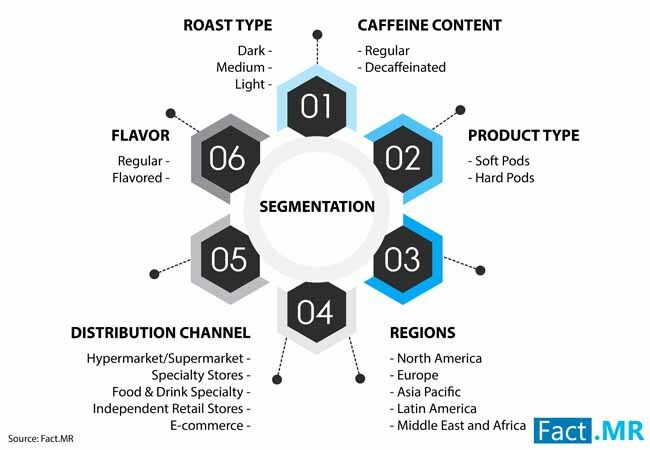 The report also highlights various distribution channels in the coffee pods market, such as hypermarket/supermarket, specialty stores, food & drink specialty, independent retail stores, and e-commerce. Note: Request a free sample copy of the coffee pods market report to discover which segments of the coffee pods market are witnessing the fastest growth. 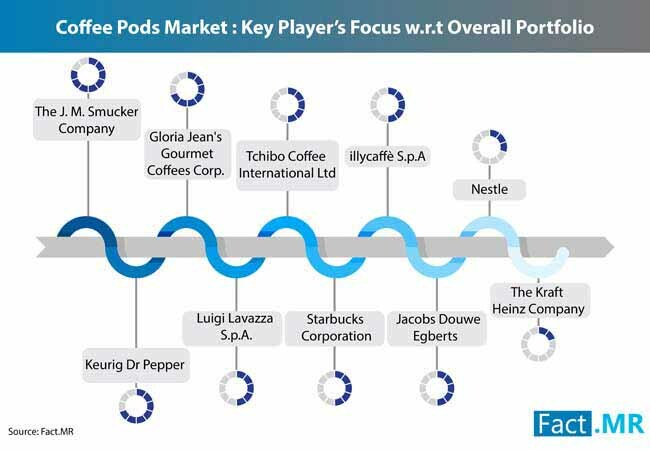 The report offers a scrutinized analysis on key companies, such as Nestle S.A. and The Kraft Heinz Company, which significantly underpin growth of the coffee pods market. An intensity map incorporated in the report tracks and profiles these market players, and a thorough analysis on their recent developments, company overview, and key financials is incorporated in this weighted chapter of the report. Prominent players in the coffee pods market are shifting their focus toward production capacity expansion and introduction of newer flavors to gain a competitive edge. 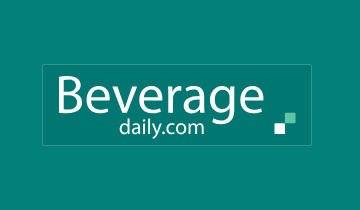 Nestle has recently announced production capacity expansion of its coffee capsule system – Dolce Gusto – in Brazil, meanwhile planning to introduce an Ethiopian coffee flavor to gain a competitive edge over other market players through product distinction. 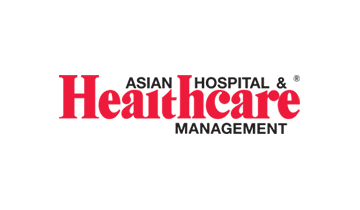 Other key players such as The Kraft Heinz Company are emphasizing on quality improvement in coffee pods through aiding farmers in gaining enhanced yield outcomes. Manufacturers who focus on strengthening their supply chain are likely to retain their competitiveness in the coffee pods market in the upcoming years. 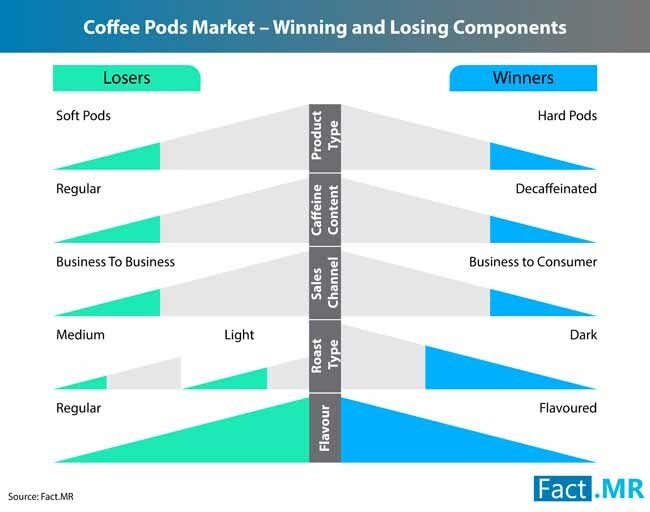 A unique market research process is followed by analysts at Fact.MR to derive accurate values that describe the growth prospects of the coffee pods market in this report. The research methodology includes intensive primary and secondary research focusing on the dynamics of the coffee pods market to ensure the accuracy and reliability of the data associated with the coffee pods market. The market research process commences with a thorough secondary research, which covers a broader overview of the current market dynamics. The historical and current industry-validated data derived from the secondary research is then cross-checked through the primary research. Key market players such as manufacturers, distributors, suppliers of coffee pods, and other stakeholders in the coffee pods market, market experts and technical advisors are interviewed to gather some salient insights on the future growth of the coffee pods market. This robust research methodology enables analysts to understand the current growth avenues of the coffee pods market and it helps readers to derive several quantitative and qualitative information about the future prospects of the coffee pods market. 16.3.8. UCC Ueshima Coffee Co.
16.3.11. Gloria Jean's Gourmet Coffees Corp.